Click HERE to see our Siding Photo Gallery and get some home renovation ideas for your home now! James Hardie offers a complete solution of vinyl siding, house trim, and home soffit products, which ensures that your home’s exterior will be protected by the unmatched durability of James Hardie siding and some of the building industry’s most comprehensive warranties – 30-year non prorated, transferable, limited product warranty, as well as a 15-year limited warranty on their exclusive ColorPlus® technology finish that covers both paint and labor. For all of your home siding needs, Creative Remodeling is one of the top vinyl siding contractors and vinyl siding installers in Central Florida. We specialize in siding replacement and siding repair as home remodelers and siding contractors with expertise in replacement siding and vinyl siding options. 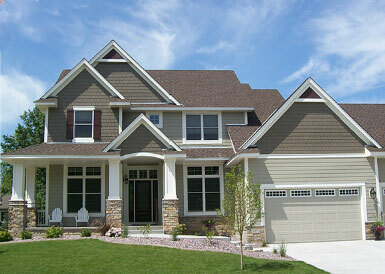 We offer the best siding and have experienced siding installers. Your siding contractor should specialize in home renovations and be a top rated home improvement contractor and a vinyl siding contractor who can easily handle your Orlando, Central Florida and surrounding counties home remodeling complete with James Hardie Vinyl Siding and Hardie Board Vinyl Siding.